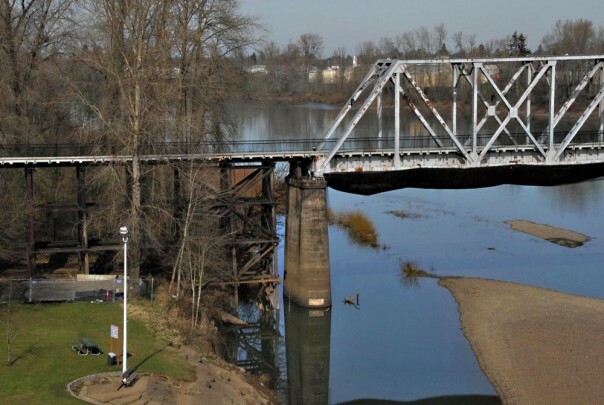 Built in 1913, this lift-span railroad bridge was used for local passenger service, logging and cannery freight over the Willamette River, one of the 14 designated historic rivers of America. Use declined after the 1960s. 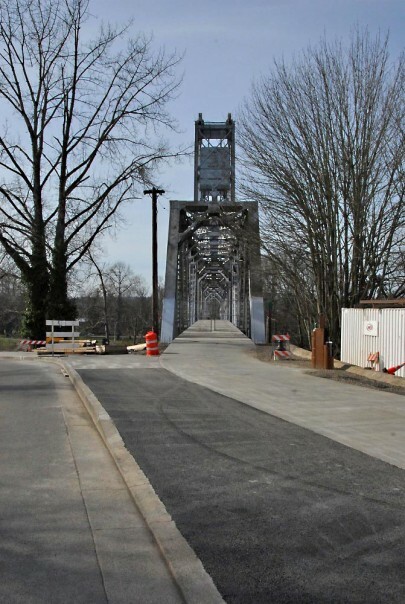 In 2004, the bridge was purchased by the City of Salem for $1 and is being restored through public financing for walking/biking and emergency use. The bridge provides a pedestrian link between the trails of two urban parks: the Wallace Marine Park on the suburban west side and the Riverfront Park adjacent to the National Register Salem Historic Downtown. The bridge was placed on the National Register in 2006 and opened for public use on April 18, 2009. 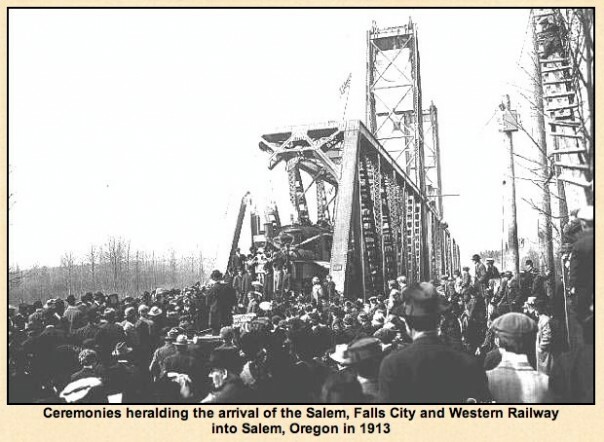 This bridge contributes to knowledge of the area’s past economic assets while providing an attractive pathway across the Willamette, which bisects the city of Salem. The restoration has recycled a neglected historical landmark into an educational experience with interpretive exhibits that give visitors an understanding of how our transportation methods have changed in the last 100 years. By giving walkers and cyclists an opportunity to travel safely between the two parts of our city, it diminishes the use of automobiles on city streets and encourages outdoor recreation. This successful project promises to lead to construction of another bridge crossing which will create a 26-mile nature trail through the city.